Groceries are certainly not cheap these days. Many households spend hundreds of dollars every month feeding their families and making those groceries last is important. Properly storing food is essential in order to make it last as long as it should. There are different ways of storing food that can help it to remain fresh for several days or even weeks after you purchase it. Before you head out to the grocery store, be sure to take the time to read through our list of grocery saving tips so that you know how to store that food to keep it around a bit longer. There are a few tricks that will help you to keep food fresher so that it lasts longer. 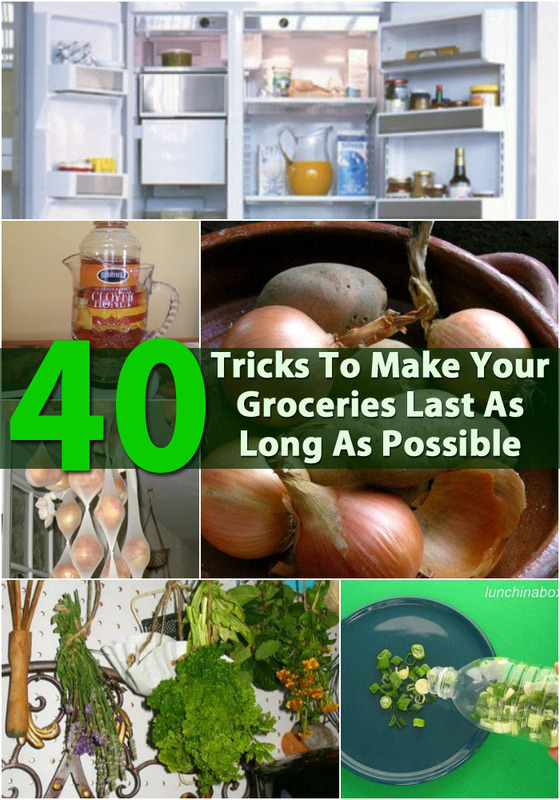 If you have ever bought lettuce and thrown half of it away because it turned brown a few days later or found that your onions simply did not last long enough for you to use them all, you may need to learn a few of these tips. Honey is delicious but it can crystalize quickly. Honey is actually the only food that never spoils but it can turn sugary after a while. Just place the entire jar of honey in a glass container with a bit of water in the bottom and put it on a candle warmer. This helps to de-crystallize it and makes it wonderfully warm so it pours out easily. Instead of storing rooted vegetables and herbs in the fridge, you can actually store them in pots filled with sand. Just place them in a flower pot, cover the roots with clean sand and then take them out as you need them. Keep the pot in a cool, dark area. 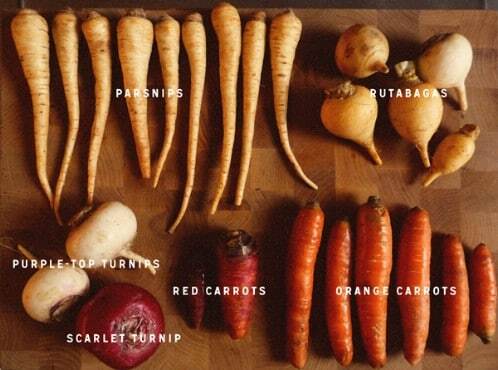 This works great for carrots and ginger. If something in your fridge spoils, you will be able to smell it and it will leave behind mold that can find its way to other food. Clean your fridge out at least once a week or so and if you do have food that has gone bad, be sure to disinfect with bleach when you clean. 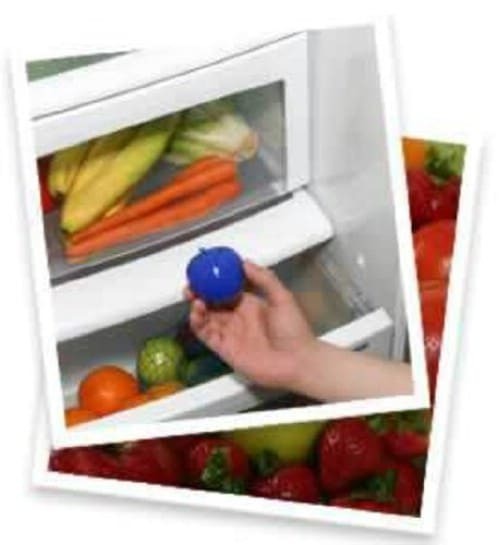 Keeping a clean fridge will ensure that all of your food stays fresher longer. 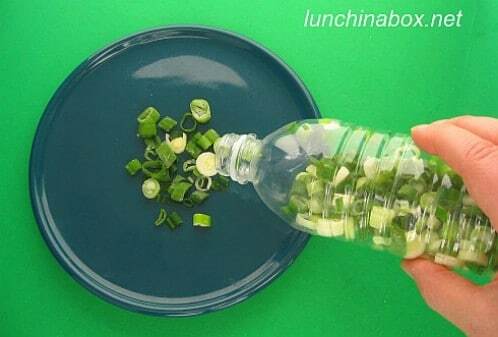 If you drink bottled water or even sodas in plastic bottles, save a few of them for storing green onions. Just cut the onions up and make sure that they are completely dry so that they do not get freeze burn. Pour them into the plastic bottle, date it and then freeze. This is a great space-saving way to keep green onions around for a while and when you need them, you just have to pour out the amount that you need and stick the rest back in the freezer. Ethylene gas absorbers are great for the fridge. You can get 3 for around $15 and they will absorb the ethylene gas that fruits and vegetables emit. This helps to keep them fresher for a much longer period of time. In fact, you can keep fruits and veggies up to 3 times longer by absorbing the ethylene that they produce. Oilier herbs such as thyme should be tied together and then hung somewhere that they will get air. 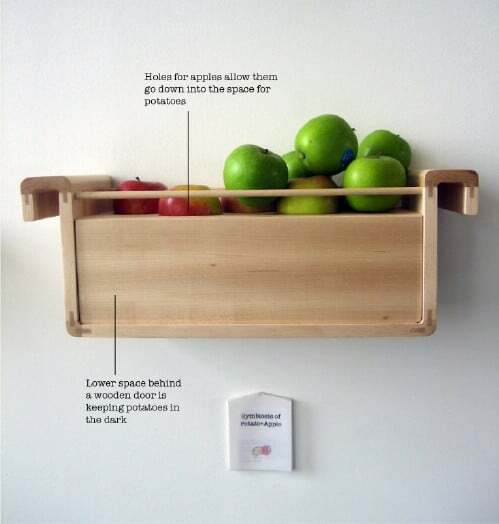 You can place them in the pantry if your pantry is relatively large or just hang them on the kitchen wall. 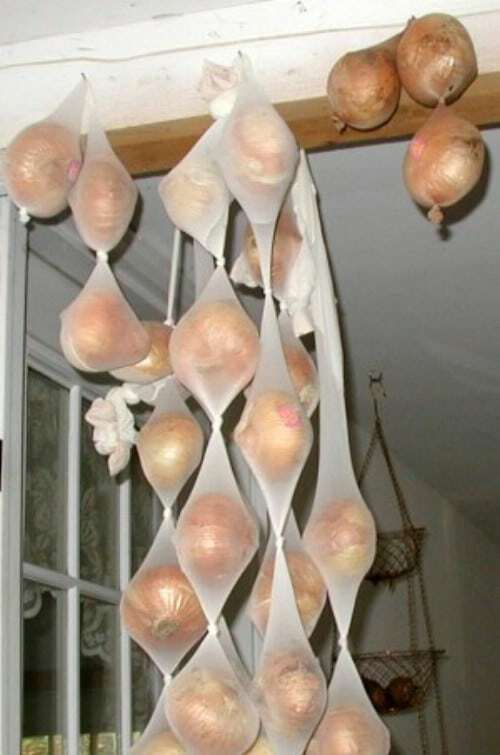 Not only will this keep them fresh, it gives you a great decoration for your kitchen walls. 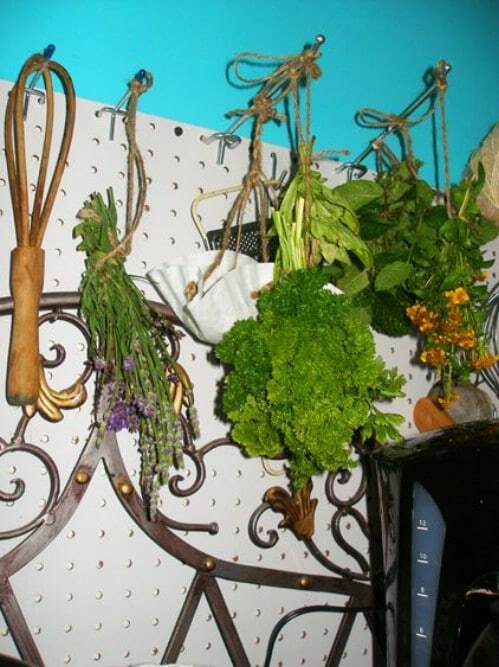 If you tend to use a lot of different kinds of herbs, an Herb Savor is a great investment. 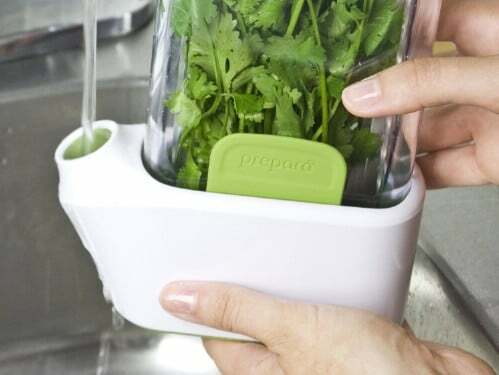 The Herb Savor is simply a kitchen gadget that is proven to make herbs last for up to 3 weeks longer than traditional storage methods. It has a water base and is a great storage choice for asparagus and many different herbs. Soaking berries in a vinegar and water solution before you store them in the refrigerator will make them last for several days longer than simply putting them in the fridge. Just add one part vinegar to 10 parts water and swirl the berries around for just a few seconds. Rinse and store. 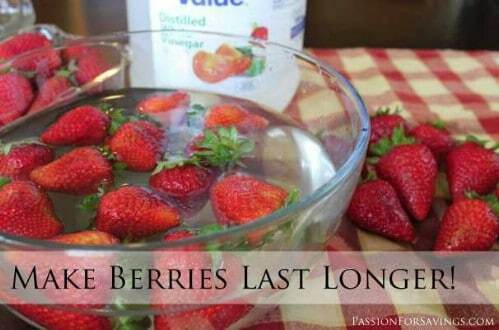 Strawberries can last up to two weeks longer using this method. 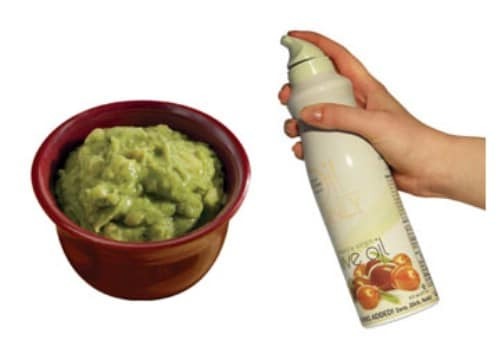 If you have left over guacamole, spray it with just a bit of cooking spray before you store it. The oils from the cooking spray will help to keep your guacamole from turning brown. You can also keep the pit from the avocado in the guacamole because the pit contains natural oils that will also help to preserve it and keep it from turning. Onions and potatoes should never be stored together. If you do put them in the same place, your potatoes will spoil much faster. 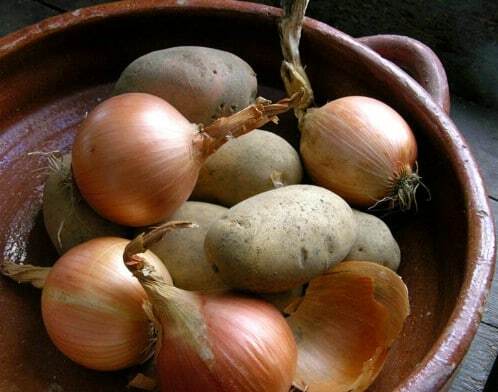 Store onions in a cool, dry area to make them last longer and keep potatoes on a separate shelf or hanging across the room from the onions. If you have an apple sitting around, put it in the bag or bin with your potatoes. The apple will keep the potatoes from sprouting which will help them to last much longer. 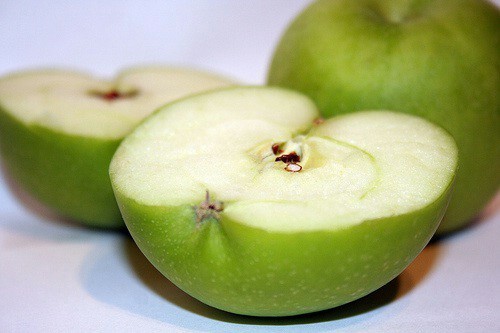 Just throw a red or green apple into the potatoes and then replace it whenever you buy new potatoes. There is an old saying that one rotten apple will spoil the bunch. This is actually a true statement. One apple that is going bad will bring the other apples down with it. 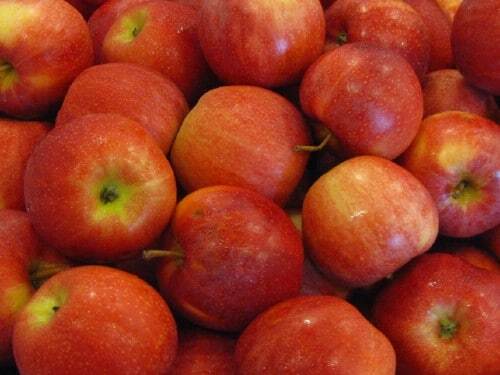 You should ensure that you check your apples daily to make certain that you do not have a rotten one and if you do, throw it out to protect other apples. 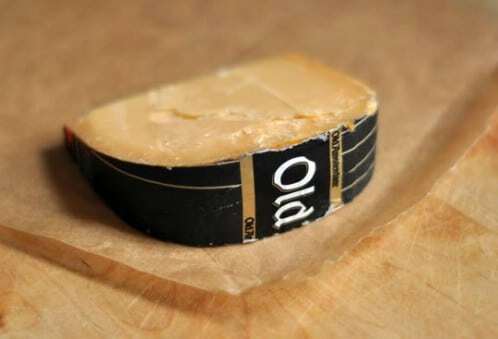 Before you store a block of cheese, add just a bit of butter to the cut side. 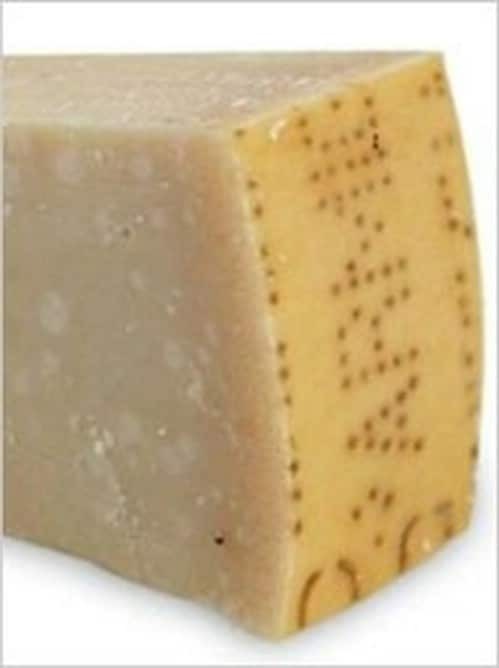 This will help to keep the cheese from drying out. Just spread the butter on the end that is cut and then store the cheese as normal. The oils in the butter protect the edges of the cheese and ensure that you do not have to cut away hard, crusty cheese when you use it again. Contrary to what you may have learned in the past, you should never wrap cheese in plastic wrap. Wrap it in wax paper instead and then store it in a plastic baggie. 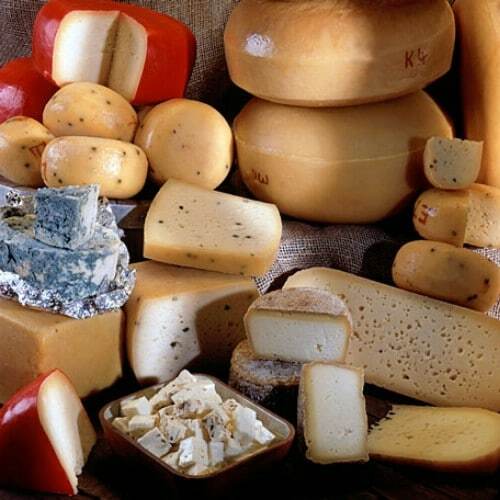 You should also keep your cheese in the warmest area of your refrigerator such as in the door or a vegetable bin. 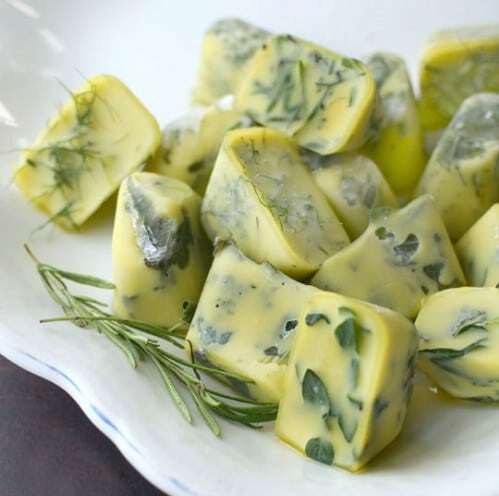 You can freeze fresh herbs to make them last longer. Just cut them up and add them to an ice cube tray and cover with olive oil. Once they are frozen, you can take them out and place them in a plastic freezer bag if you want. Remember to date and label the bag so that you know what is in it and when you froze it. Just shoving foods into your fridge will likely see many of them spoiling. It is essential that you check the temperature of your refrigerator and ensure that it is 40 degrees Fahrenheit or below. Never mix meats with fruits and vegetables in a crisper drawer and don’t slice your foods until you are ready to use them. Before you head out to restock your fridge, make sure that you pull older foods toward the front and rotate them so that you use those first. 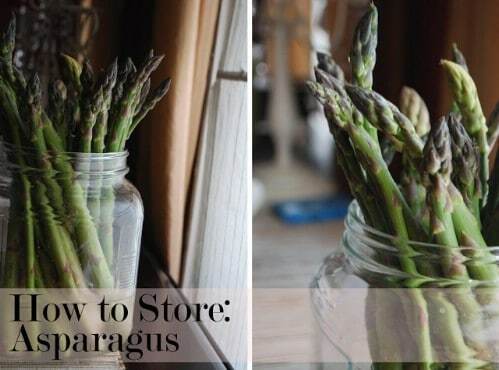 When storing asparagus, think flowers. Just cut the stems and place them in a container of water. Cover with plastic and store in the fridge. You can use a rubber band to hold the plastic in place and this is a good method for storing parsley and other herbs as well. It will keep asparagus fresh for at least a week. 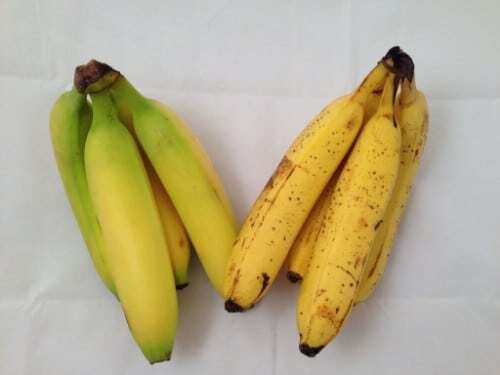 Actually, you don’t have to wrap the entire bunch of bananas, but if you wrap the crown with just a little plastic wrap, the bananas will stay fresh for nearly a week longer than normal. Keep bananas stored on the counter and away from other fruits and veggies because they produce a large amount of ethylene gas which can cause other fruits and veggies to spoil faster. Adding a paper towel to your lettuce before storing it will absorb the moisture that causes lettuce to go bad. 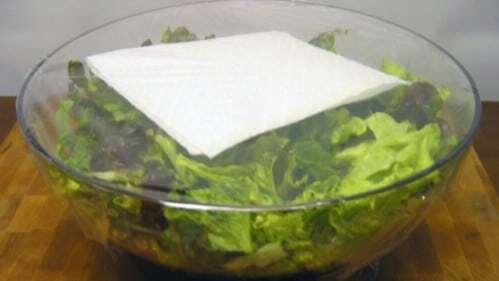 Just add the paper towel over the lettuce in a bowl or plastic bag and it will keep moisture from causing the lettuce to wilt, making it last up to a week longer than regular storage methods. Before storing broccoli, lettuce and celery, wrap it in aluminum foil. The foil will help to keep veggies crisp for up to 4 weeks. Just wrap in foil and store in your fridge’s crisper drawer. Instead of throwing out lettuce and other vegetables a few days after you buy them, you can keep them for up to a month so you don’t have to rush to eat them the minute you get home from the grocery store. 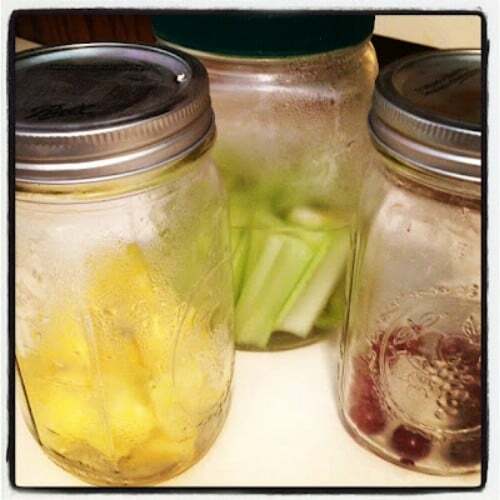 Mason jars are relatively inexpensive and most people have a few around the house. They actually make much better storage containers than plastic bowls. They do not stain so you can store tomatoes and sauces in them and they will help to keep produce fresher for days longer than traditional storage methods. 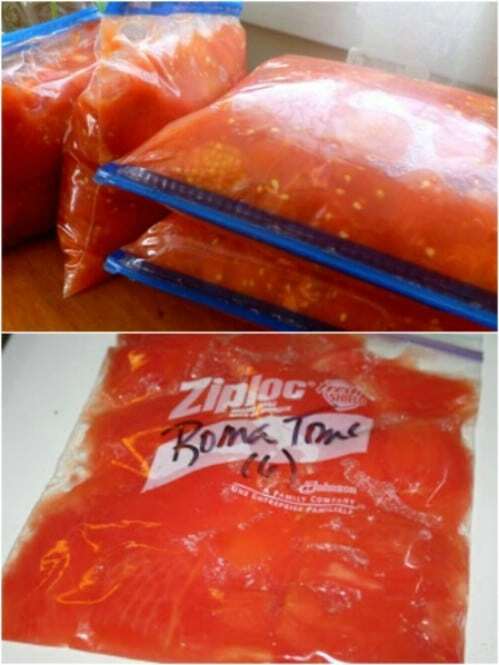 You should never actually store tomatoes in plastic bags. The ethylene in them will cause them to ripen and spoil faster. Instead of storing in the bags that they come in, store them in a paper bag. 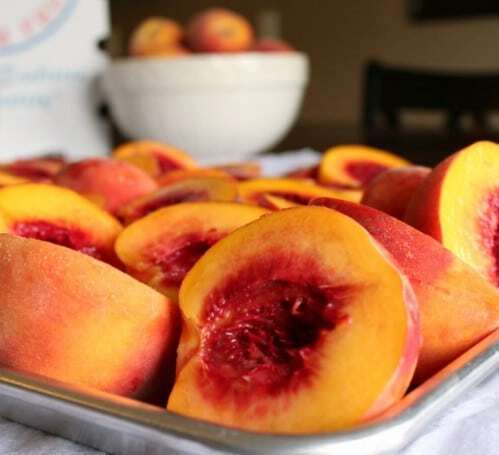 If they are not yet ripe, keep them stem side down in a cool area and if you want them to ripen faster, store them with fruit which also has ethylene that will help them to ripen. 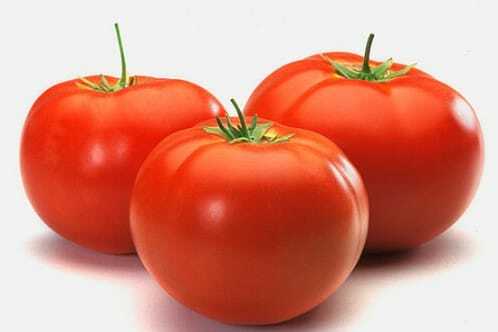 Ripe tomatoes should not be kept in the fridge. Store them in a dry place at room temperature and away from sunlight. If you have plastic bottles left over, you can use them to seal up plastic bags. Just cut the top portion off and use it to seal the bag. 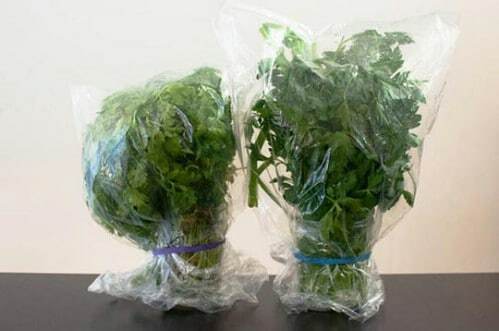 If you are storing produce, it is important to keep it sealed so that oxygen does not get through. Just place the cut off section inside the bag and replace the lid, ensuring that you have it sealed up nicely. 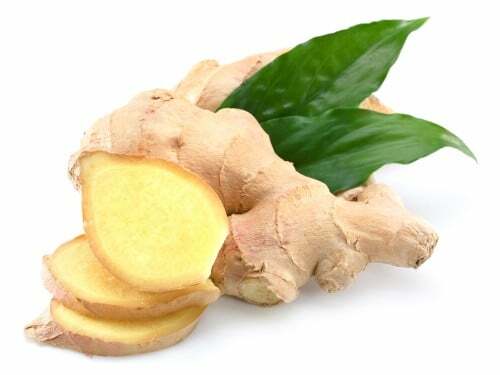 If you use fresh ginger, you can store it in the freezer which makes it much easier to grate. The peeling will also grate so you won’t have to peel it before you use it. Storing it in the freezer also helps to preserve it so that it will last much longer than if you store it in the fridge or the pantry. When you get home from the store, roast nuts and then freeze them. 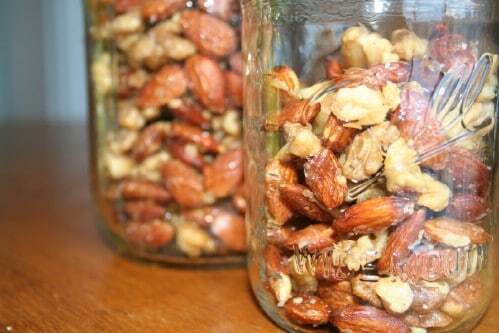 Roasted nuts tend to have a much better flavor and they will keep for much longer than raw nuts. To roast, just spread them out on a cookie sheet in a single layer and bake for 15 minutes at 350 degrees. Once cooled, put them in freezer bags and label and date them. 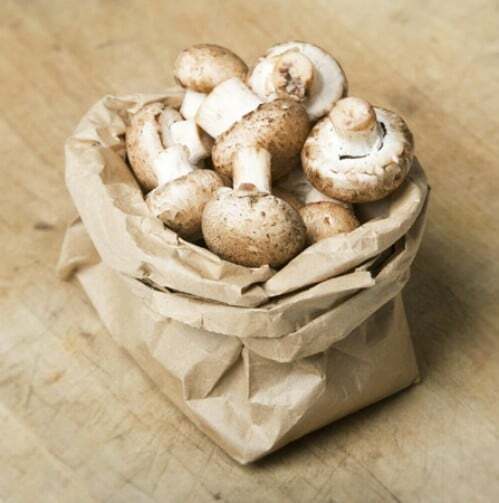 Mushrooms should never be stored in a plastic bag. The plastic can cause them to mildew due to the excess moisture. A paper bag will help them to stay dryer which will preserve their freshness a bit longer. Keep them in a cool dry area or in a crisper drawer in the fridge. 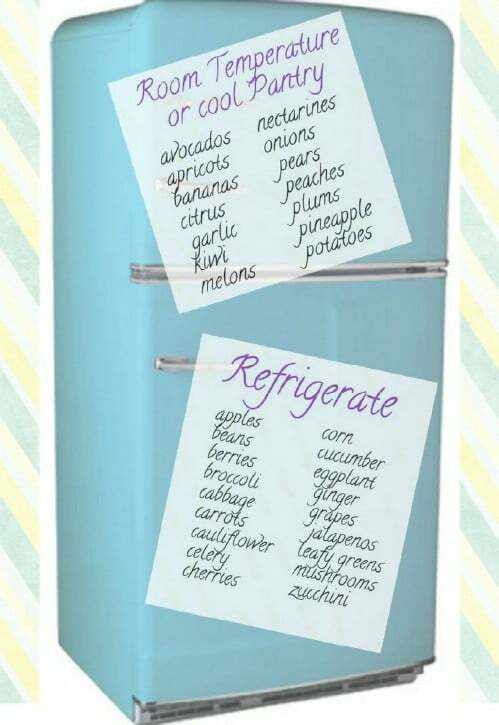 Whether you are storing in the fridge or on the counter, you should know what foods should be stored where. As a general rule, citrus fruits, melons, garlic, kiwis, onions, potatoes, pineapples and nectarines should always be stored in a pantry or on the counter. 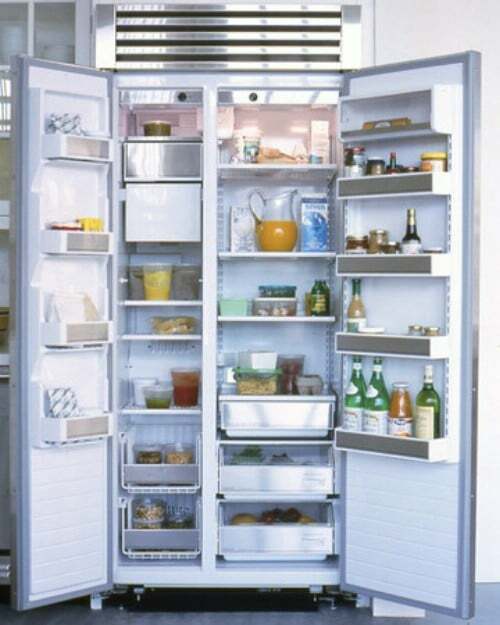 Apples, grapes, mushrooms, leafy green vegetables, cherries and other foods are stored in the fridge. 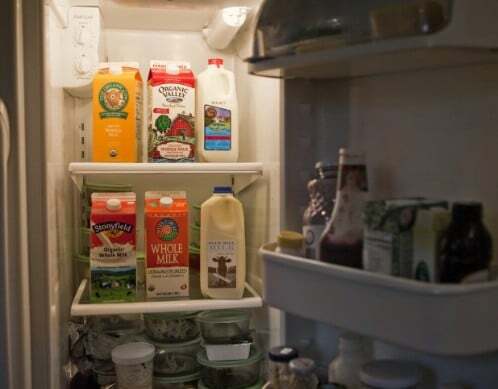 Milk should always be stored in the middle of the refrigerator and not in the door. There are many fridges today that have wider doors for milk and other larger containers but if you want that milk to stay fresh longer, be sure that you store it inside the fridge. Milk needs cooler temperatures to keep it from spoiling. 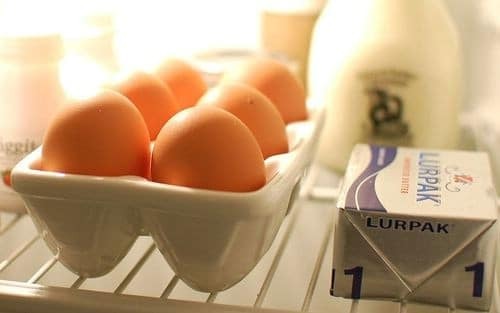 If you want eggs to last longer, store them inside the fridge as opposed to in the door. Eggs that are stored on a middle shelf will last up to 4 weeks past their sell by date and those stored in the door will often begin to go bad right around the sell by date. Even if you have an egg holder in the door, avoid keeping eggs there. 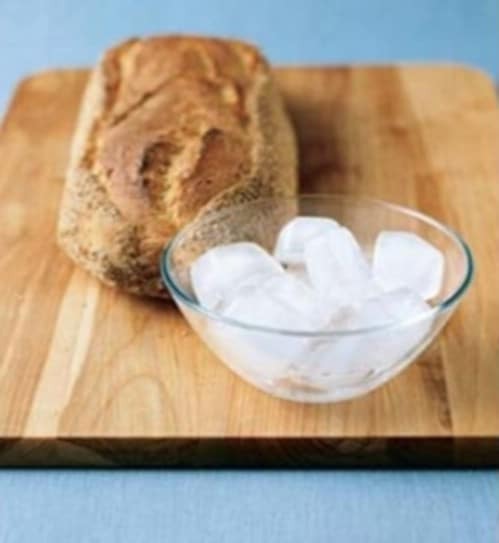 In order to perk up bread that is stale, rub it with an ice cube and then bake it for 12 minutes at about 200 degrees. This helps to soften the bread and makes it taste fresh. Note that moldy bread should not be eaten. Only use this for bread that is a couple of days past its sell by date. In order to keep milk fresh a bit longer, you can add just a pinch of salt to the carton. This also works with heavy cream. Just a pinch of salt will never be noticed when you taste the milk and it can help to prolong the freshness by up to a week past the use by date. 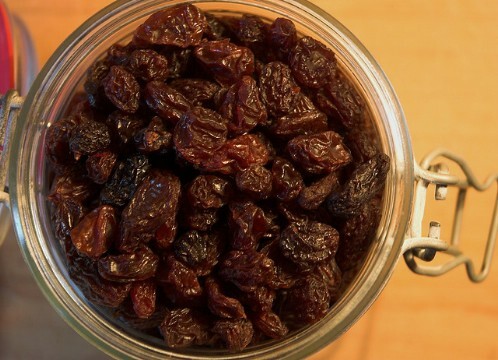 In order to keep raisins from hardening, store them in a mason jar with a tight lid. If they have hardened before you get them to the jar, you can revive them by dropping them into a pot and submerging them in water. 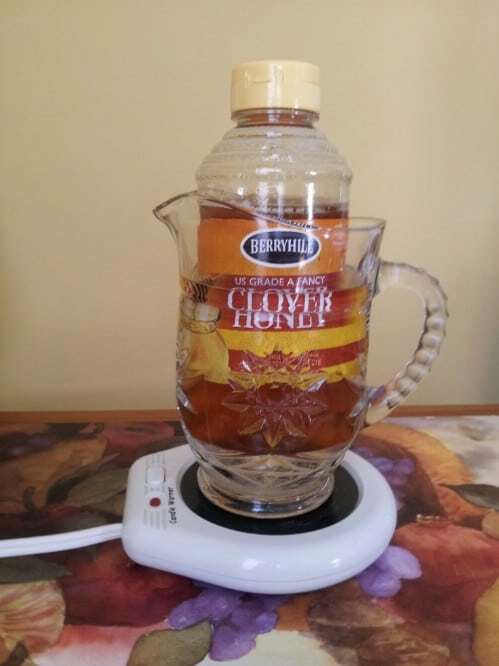 Bring water to a slight boil and then turn off the stove. Allow the raisins to steep for about 10 minutes and then drain. 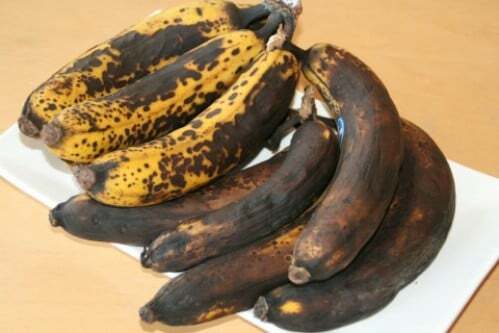 If you have bananas that have gotten too ripe to be eaten whole, you can still use them for baking. If you are not quite ready to turn your ripened bananas into yummy muffins, just peel and freeze them. 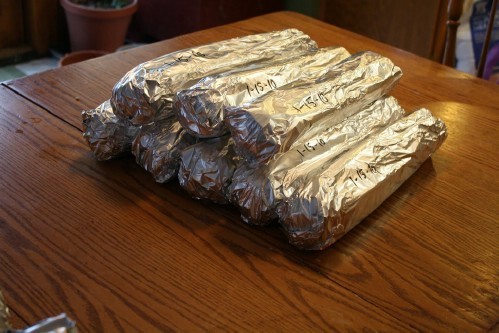 Wrap them individually in plastic wrap and store several in a freezer bag. Then just thaw them out and you are ready to bake. When you open a can of tomato paste and you only need a spoonful or so, instead of throwing the rest out or putting it in the fridge, you can freeze what is left over. Just dollop it onto wax paper and stick in the freezer. Once frozen, you can peel the tomato paste off the paper and store your paste dollops in a freezer bag. You don’t even have to thaw them out before cooking with them. 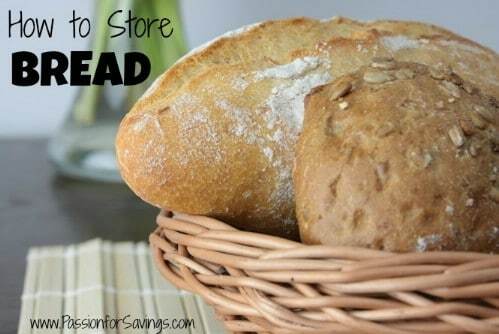 Keeping bread fresh comes down to knowing what containers it should be in when storing it. If you are buying bread by the loaf, it is in the right container. The bag will help to keep it fresh. Pre-sliced sandwich bread should be stored in the bag. 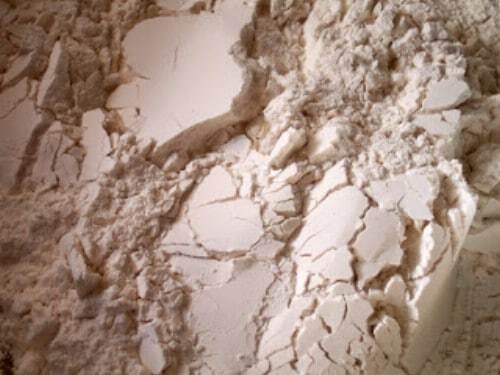 Crustier breads such as Artisanal breads should be stored in plastic bags to keep them from turning spongy. If you tend to buy up more flour and sugar than you typically need, you can keep them in the freezer to preserve their freshness. Just sit the entire bag in the freezer and you can keep it there for up to six months or longer. There is no need to thaw it out because it won’t really freeze but it will help to keep it fresh. When cutting fruit, you can dunk slices in ginger-ale or lemon-lime soda to prevent the insides from turning brown. Just place the fruit in a bowl and add the liquid. Allow it to soak for about 15 minutes or so and then strain and pat dry. The taste of the fruit won’t change and it will stay fresher looking for much longer. GREAT TIPS. TOO BAD THERE IS NOT WAY GIVEN TO PRINT A HARD COPY SO IT CAN BE PUT IN A BINDER FOR QUICK REFERENCE WHEN THE COMPUTER IS NOT BOOTED UP. Enjoy this kind of article, but not worth coming back if there is no way to see the entire article on one page — just wastes time. Also, keep aluminum away from food whenever possible. Encourage grocery stores to stock old fashioned wax paper (not the new plastic kind). How can I put this info into my computer for future refrence? Save it on Pinterest or use some other bookmarking service.